At the Mobile World Congress in Barcelona on 25 February 2018, Samsung unveiled its first smartphones to feature dual-­aperture lens – the flagship Galaxy S9 and S9+. This latest flagship brings a number of improvements to the Galaxy S brand with an updated processor and better camera which now takes improved pictures in low light. 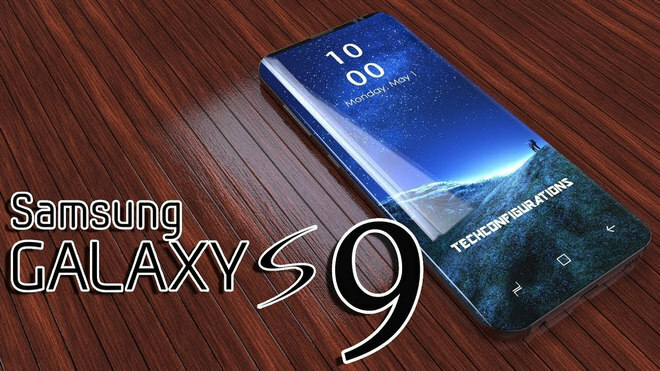 Along with these upgrades the S9 includes all the usual Samsung flagship features such as a dual curved display, expandable memory and a water resistant design. However, despite of all these cool features, the Samsung Galaxy S9 leaves much to be desired. For example, you'll find it's impossible to directly transfer and watch movies and TV shows from iTunes on the Galaxy S9. Why? Actually it has something to do with FairPlay DRM, a technology created by Apple to protect copyrighted works sold through iTunes Store, allowing only authorized Apple devices to play the content. Therefore, we can't directly transfer iTunes movies to Samsung Galaxy S9 or any other non-Apple devices for playback. But that's not the end of the story. Things changed thanks to the coming out of a powerful iTunes Video to Samsung Converter. With the help of this tool, we can easily remove DRM from iTunes M4V videos and convert them to plain MP4 or other common format. The magic tool we are talking about here is called NoteBurner M4V Converter Plus, a professional DRM removal tool for iTunes rental & purchased movies and TV show. It supports to convert M4V videos to popular formats, including MP4, MOV, AVI and etc, at fast speed, while at the same time keeping AC3 dolby 5.1 surround audio and subtitles. Remove the DRM from iTunes rentals & purchases. Convert at 20X faster speed with 100% lossless quality. Fully support the latest version of iTunes. NoteBurner M4V Converter Plus supports both Windows and Mac OS. Here we will just take Windows version as an example to show you the best way to play iTunes movies on Samsung Galaxy S9. Launch NoteBurner M4V Converter Plus, click button "Add Movies" on the upper left or in the middle of the interface. A pop-up window will show you all the movies in iTunes. Tick the movies you want to convert and then press button "OK". When Step 1 is done, you can see all the movies you chose listed on the main panel. Click the "Format" button in the bottom left corner, and then a pop-up window will appear for you to select output formats (MP4, MOV, AVI, etc) and output path. When the conversion is done, all the converted movies can be found by clicking the button "Converted Movies" on the upper right. Besides, you can directly go to the folder you designated in Step 2 to find them. Now you can easily transfer the DRM-free iTunes movies to Samsung Galaxy S9 through USB cable for playing. 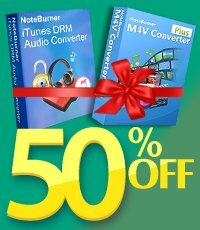 Note: The free trial version of NoteBurner M4V Converter Plus converts one minute of each video file only. If you want to unlock the time limitation, you can purchase the full version of NoteBurner M4V Converter Plus with $44.95 (Original Price: $69.95).